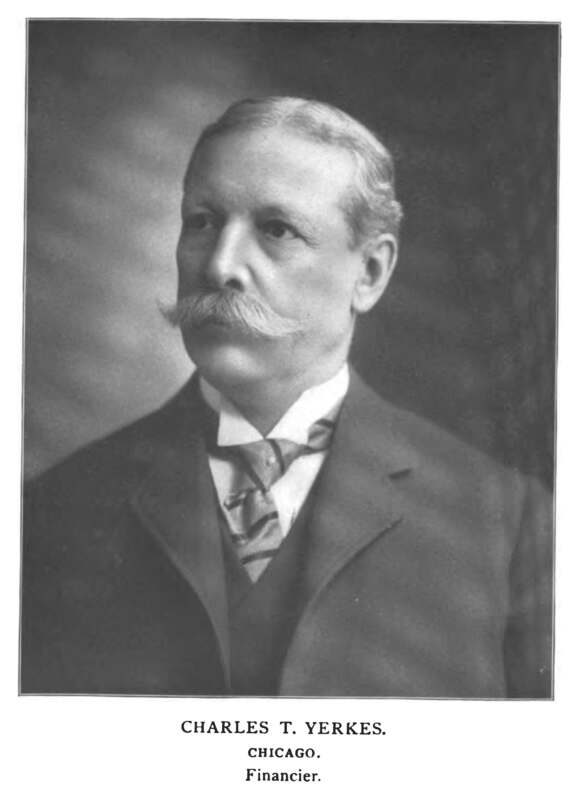 Charles Yerkes (1837 - 1905) was a financier who was born in Philadelphia and played a major role in developing the mass-transit systems in Chicago and London. In Chicago in 1897 Yerkes supported a bill that would extend the street-car franchise to 50 years instead of 30 years thus greatly benefitting Yerkes. Clarence Darrow wrote in his autobiography "Of course Mr. Yerkes had competent lawyers, as all rich people have. He employed the best and most skilful lobbyists to work for his bill. He managed to get control of the House and the Senate, the bills were passed, and up to the governor for veto or approval. Every one wondered what Altgeld would do. No one ever doubted his integrity, but his enemies hated him the more for that. Altgeld owed nothing to the forces that were against Mr. Yerkes." In the end Altgeld vetoed the bill. Yerkes Observatory at the University of Chicago is named after Charles Yerkes because he funded the building of a 40 inch refracting telescope that was completed in 1895.